The Richmond Powerhouse is a non-profit, private organization for professional women and small business owners. Our members have demanding careers and busy lives and we strive to bring them a more balanced and fulfilled life through our facility and programs. Meet our Board of Directors who have worked tirelessly since inception to build an empowered future for our members and our organization. Marisse founded the organization with the hope of bringing renewed fulfillment and joy into the lives of busy professionals while giving back to the community. She retired as a Lieutenant Colonel after spending 21 years Active and Reserve working in Media Relations and Public Affairs at Air Combat Command, Langley, the largest command in the Air Force. While in the Reserves and post-retirement, Marisse spent 22 years in corporate sales and marketing, is currently employed by Sunovion Inc and is a five-time President's Circle of Excellence awardee. Marisse has a B.A. in Communications from the University of Hawaii and a M.S. in Business Management from Troy State. She enjoys traveling with family, beautiful sunsets at the beach, dancing, restoration, and eating! She is married to Jeff and has three children, Wesley, Alyssa and Jake. Marsha realized her dream to work in sales and marketing at an early age when she found herself pulling a wagon full of girl scout cookies door-to-door demonstrating the value of her product to her customers and enjoying it. The rest is history as she has successfully held numerous leadership positions and served on several advisory boards working for Pfizer Pharmaceuticals Inc for the past 32 years. She graduated with a Bachelors of Business Administration in Marketing from Milligan College in Tennessee. When Marsha is not working, she enjoys spending time with her husband deS, working on projects for The Richmond Powerhouse, photographing eagles or enjoying a glass of wine by the river. Nadia is an encourager by nature, an entrepreneur and event enthusiast. She earned her undergraduate and graduate degree in Accounting from the McIntire School of Commerce at the University of Virginia. She is a certified public accountant (CPA) that has focused on working with nonprofit organizations and small businesses. As the owner of Virginia Grace Event Management, she provides planning, design, direction and coordination service for weddings, private celebrations and corporate events. She mentors other entrepreneurs and currently serves on the boards of One Voice Chorus and the Richmond Christian Leadership Initiative. Nadia enjoys reading, exploring the Richmond food scene, attending live musical concerts and beach vacations. Quanda's positive spirit and enthusiasm is infectious. 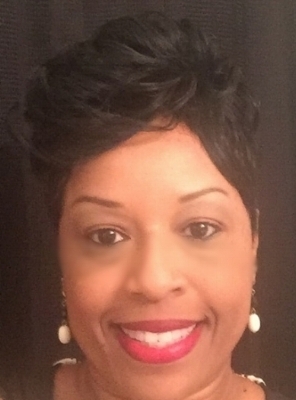 She is currently the Chief Operating Officer for Clearview Counseling Services Inc and has worked in higher education for 24 years in both the public and private sector with many highly successful years and experience in event planning, fundraising, and networking. She serves on the Executive Board of the National Coalition of 100 Black Women, Inc., Richmond Metropolitan Area Chapter and is an active member of St Peter Baptist Church where she serves as the Church Clerk and on the Greeters Ministry. She has a Masters Degree of Science in Human Resources Management from the University of Maryland, University College. She enjoys cooking, shopping, writing, cleaning and watching movies. She is married to Merrill Baker, III and has three children, Sharday, Danielle and Cameron. The Richmond Powerhouse believes in a diverse culture. We love your ideas, your expertise and most of all, your involvement. That is how we get things done right! Whether planning a community event, an educational program or a member social, we appreciate and encourage our members to join in. As a new organization, this is a great time to hone your skills and help us build from the ground up. We are currently recruiting for Board Member positions, Charter Member positions and volunteer positions. For college students and those currently unemployed, we welcome intern positions if you need valuable work experience with an exciting new organization.